North Carolina: A former Catholic priest from East Tennessee pleaded guilty to charges today of sexual abuse of a child. 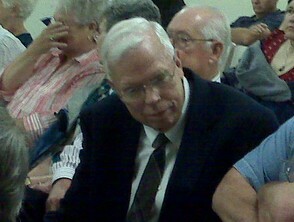 This morning, William Casey admitted in McDowell County, NC that he was guilty of crimes against nature. A man who's now forty four claimed Casey took him from Kingsport to McDowell County and abused him when he was a little boy. Casey was a priest in Kingsport, Rogersville, and in Greeneville where he now lives, but he's since been removed from the priesthood. Despite the guilty plea It appears Casey will serve no jail time. The sentence - three years behind bars. But, the judge suspended the sentence and put Casey on supervised probation for 24 months. He was forced to pay a $500 fine and restitution to the victim for counseling. and thus, it really is really easy to get access for money using any situation. your payments to assure they get their money.